I truly love Celtic music, though I don’t know much about it. We have a wonderful radio show here in Austin called “Across the Pond with Ed Miller” every Sunday night from 6-8pm. It is on Sunradio and can be heard on the radio at various stations including 100.1FM in some parts of Austin, but I have to listen online at sunradio.com to be able to pick it up here in Georgetown. My husband bought me a bluetooth speaker for my birthday so I can hear it all over the house! Bliss! Through Ed, I have learned about some fantastically great musicians and have really grown to love them. I am sure there are many great radio shows to hear via the internet, and I would love to learn about more! One other I really like, and try to listen to via the archives, is called “The Thistle and Shamrock” and is hosted by Fiona Ritchie. Check out the website: thistleradio.com. I already loved Scotland long before I visited there, and was often inclined to listen to Celtic music, including Bagpipes. If you didn’t know, we have a Bagpipe band in Austin called The Silver Thistle. You can check out their website: silverthistle.org. Georgetown even has a pipe and drum band made up of some of the fire department! They have a poor online presence, but can be found at gfdpipesanddrums.com. We have a Celtic Fest here in Austin, often the first weekend in November, at which there are many opportunities to hear Celtic music and to participate in other Celtic themed activities. I went in 2015 with my friends Lisa, Donovan and Ofelia and we had a great time. A festival I have not attended is the Salado Scottish Festival! This happens in November as well, and since it’s just up the road from me, I’m looking forward to attending some day! In May, there is Texas Scottish Festival in Arlington and I hope to go there one of these years! There are probably many more annual events, but these are the ones with which I am familiar. In the Spring, Ed Miller, The Silver Thistle, and other bands play at Opal Divine’s on March 17th most years and that gives us a mini Celtic Music fest on St. Patrick’s Day! When I was in Scotland and I tried Single Malt for the first time, I was inclined to like it because I loved Scotland and so many things about it. I just didn’t know I would love it so much! As mentioned in other blog posts, part of my love of Scotch is connected to my love of Scotland and that love is woven in and around the music I love from there as well! 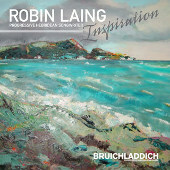 Two Scottish musicians I especially love are Robin Laing and Jim Malcolm. Both I first heard on Ed Miller’s radio show “Across the Water” as it was called when it used to be on KUT and then KUTX before they decided Celtic music wasn’t part of the Austin Music experience. Jim Malcom travels to the US frequently and I have had the pleasure of attending a house concert in Austin the last 2 years to see him live! He is funny and talented and I just loved both shows! I held my first Burns Dinner in January 2015 and Jim was a big help in the form of a video I bought at the first house concert (in 2014) called “Bard Hair Day” and a CD called “Acquaintance”. I have been slowly adding to my Robert Burns Library, including Ed Miller’s “Lyrics of Gold” and more Jim Malcolm CD’s purchased at the 2015 house concert. 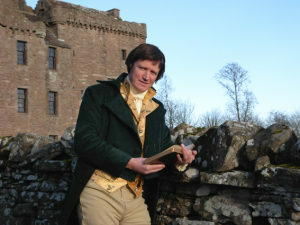 He wrote a song about Robert Burns called “An Hour in the Gloaming”. I have listened to that song just about every week since I bought the CD on November 5th, 2015! Just beautiful! Jim doesn’t have too many songs about Whisky recorded, but he does have one really good one called “Scotch Whisky and German Beer.” Very humorous. 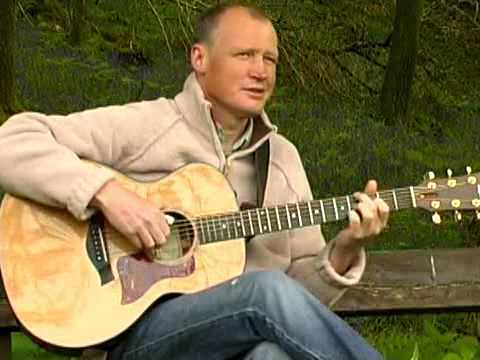 That one can be found on his CD of satirical songs called “Disaster for Scotland”. 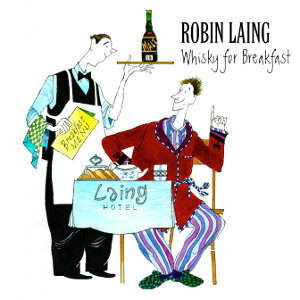 The interesting thing about Jim not having too many whisky songs is that he and Robin Laing worked together early in their careers on a show called “Whisky, Women and Song”. 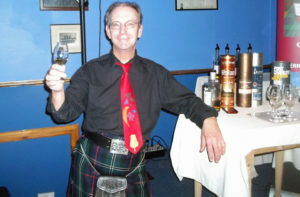 Robin is known as the Whisky Bard of Scotland and has recorded 4 CD’s devoted to whisky, with a 5th out any day now! 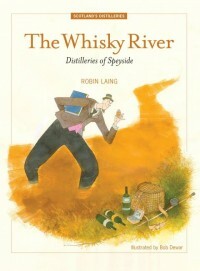 He is also a writer and has three books about whisky, The Whisky Muse, The Whisky River and The Whisky Legends of Islay. He writes articles for Whisky Magazine and has served on the tasting panel for the Scotch Malt Whisky Society. He has many songs just about Bruichladdich and in fact has his own special bottling of Bruichladdich that you can only buy from him! When Simon Coughlin, the CEO of Bruichladdich, was at Spec’s on Brodie Lane in Oct of 2014 I asked him about Robin. He was happy to tell me that he was his friend and often stayed with him when he came to town! I just wish Robin would come to the US, and he has mentioned he might with this new CD! 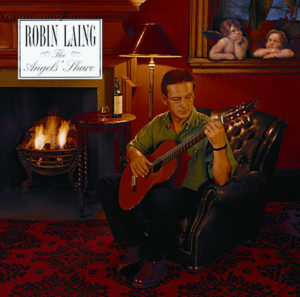 I have posted reviews of all of Robins 8 CD’s on Amazon if you are interested in more detailed information about them. 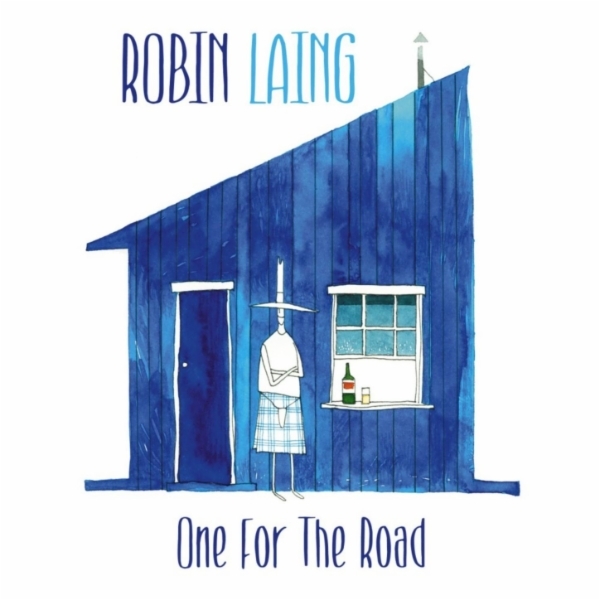 I like Robin Laing for more than just because he is writes songs about Whisky. He is truly one of my favorite artists of all time. 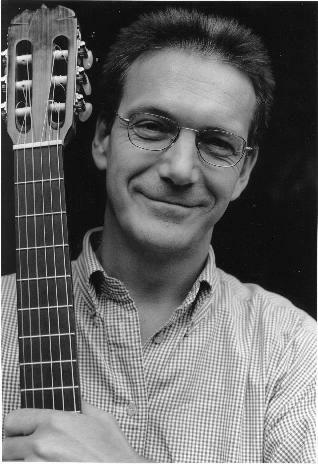 He writes such amazing songs that are interesting and detailed and varied. He sings many traditional Scottish songs, as well. He has a gorgeous voice and just really brings out so much emotion in his music. I am just blown away at how talented he is. 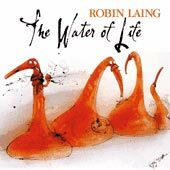 When I first started tweeting, I didn’t always know what to tweet out, so I used whisky quotes for the longest time, and I relied on Robin Laing heavily! (I copied all the quotes on a separate page here on the website.) Having to squeeze these into 140 characters was daunting and I had to do a double tweet sometimes. I eventually had much more to tweet about as I made friends with the #whiskyfabric on Twitter and the Austin Scotch Lovers got busier and had many more events to promote. So I stopped mentioning Robin on Twitter so much, but I feel like not nearly enough people know about Robin Laing and I decided to write this post to get him, and Jim Malcolm and Ed Miller’s radio show, out to more people in the world! If you like what you hear, please help me spread the word! I want to finish this post with some commentary and quotes from some of the very best whisky songs from Robin. You can hear samples of these songs on Amazon, and I am concluding the post with the entire song and lyrics to “World of Whisky”, definitely one of his masterpieces. I linked his website above, and here again, where you can get the lyrics to all the songs on the two newest CDs. 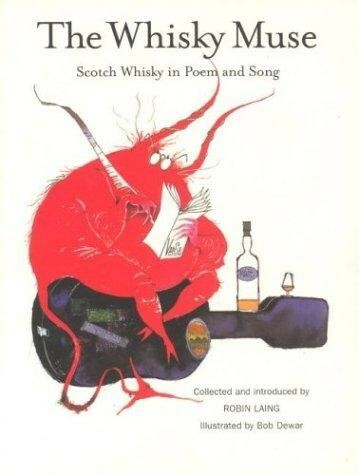 His book, The Whisky Muse, has the lyrics and some music to most of the traditional songs he sings, especially from The Angels’ Share and Water of Life. I love all of his music, not just the whisky songs, but as this is a Scotch Lovers blog, I am sticking to talking about the whisky songs here! 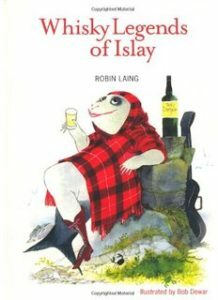 One thing that Robin has helped me with is how to pronounce the difficult Scots Gaelic names of many of the distilleries. One name people rarely get right is Glenmorangie. I often mention the following lines from “Our Glens” which was not written by Robin, but by W.D. Hardie. He sings it on The Angels’ Share. Just remember it rhymes with orangie and you get it right every time.